Here’s a sight you don’t see very often. 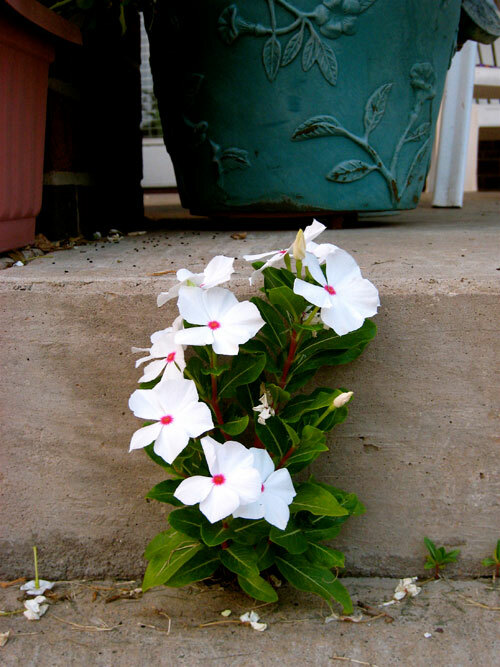 I noticed this beautiful flower growing off the side of the porch today, from a crack between the sidewalk and the porch. When I first saw it, I had to look again to see if there was a pot or planter there since the flowers looked so good and healthy! I took this picture with our Canon SD800IS (our point-and-shoot digital camera). Does a great job of capturing those moments that aren’t big enough to get the big Pro SLR cameras out for.